Two polls gauging Alberta’s political leanings have been released in the past week, and both show the United Conservative Party ahead of the NDP. 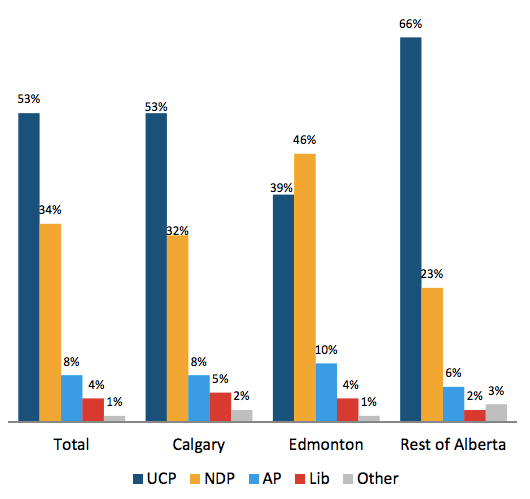 However, the polls were divided when it came to just how many points the UCP led the NDP heading into the Alberta provincial election on April 16. Jason Kenney’s conservatives were looking much better in the Global Petroleum Show’s Provincial Election Survey, which was prepared by Janet Brown Opinion Research, as it marked the UCP at a 19 point lead over the NDP, 53% to 34%. The Janet Brown Opinion Research poll was conducted between March 25 to 30 with a sample of 900 Albertans 18-year-old and over. The survey was administered through telephone interviews with random Albertans, conducted 50% over landlines and 50% through cellphones. In comparison, a Research Co. poll released on April 2 shows the NDP just 5 points back from the UCP, sitting at 40% to 45%, respectively. That poll was conducted slightly after the Janet Brown poll on March 29 to April 1 with a sample size of 600 adult Albertans. The study was conducted online. While the two polls different by around 14 points on the lead that the UCP may have, they both agreed that Notley’s approval rating had improved, with Research Co. putting her neck-and-neck with Kenney at 32% each, and the Janet Brown poll actually seeing her with a 47% approval rating, compared to Kenney’s 44%. 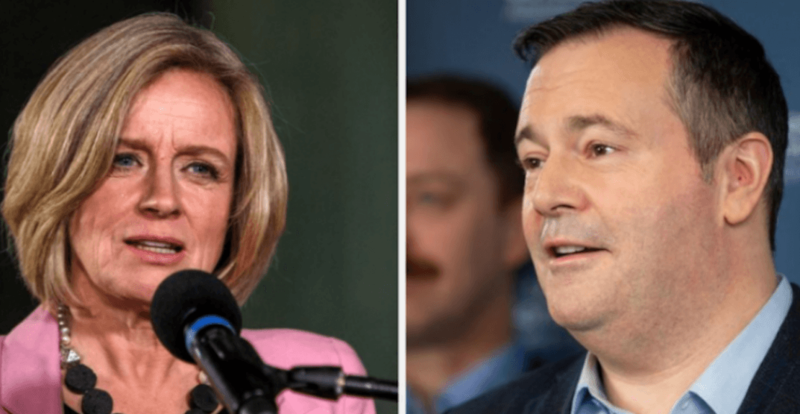 However, the same poll showed that Notley’s disproval rating was still slightly above Kenney’s with 48% of respondents stating that they either somewhat disapprove (17%) or strongly disapprove (31%). Kenney, meanwhile, saw just a 42% disapproval rating, mostly due to the 14% of respondents who simply answered that they didn’t know when asked if they approved of the UCP leader. When looking at the other political parties in Alberta, both polls show that the Alberta Party has a slight lead over the Alberta Liberals, though neither reached even 10% of the respondents’ support in either poll. Albertans officially head to the polls on April 16 and advance voting starts on April 9.